Living in super hot Texas, large-breasted founder Allison Schickel hated having to dig out a sports bra to wear while she drank coffee and put on makeup after showering. When a five year search for a simpler solution yielded nothing, she had an epiphany. She ran into Target and came out with their cheapest front-fastening sports bra and robe. With a little DIY, she combined the two for a perfect all-in-one post-shower cover-up. I haven’t tried the bra myself, and I wouldn’t expect major support or lift, but it looks comfortable and stabilizing. I’d be happy to wear it to the breakfast table with in-laws, and that’s exactly what the model in the first photo does. For reference, she measures approximately 34″ under bust and 44″ over bust and wears the size medium (although in the photo she’s wearing a size small robe). 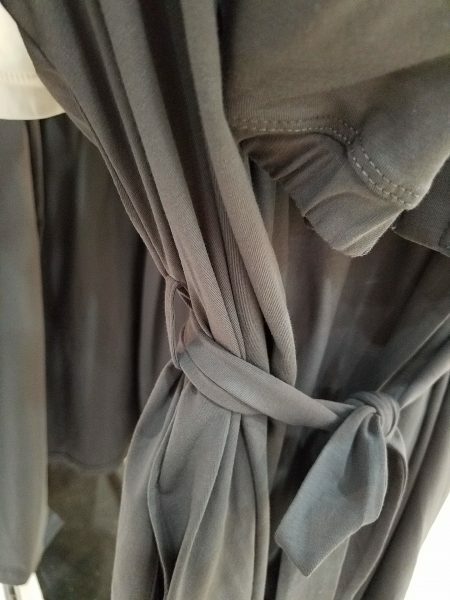 The fabric is composed of 90% cotton and 10% elastane, so there’s plenty of stretch to accommodate larger breasts. For breasts sized out of the velcro-fastening model, there’s a hook-and-eye version that I show you in Benefit #3 below. 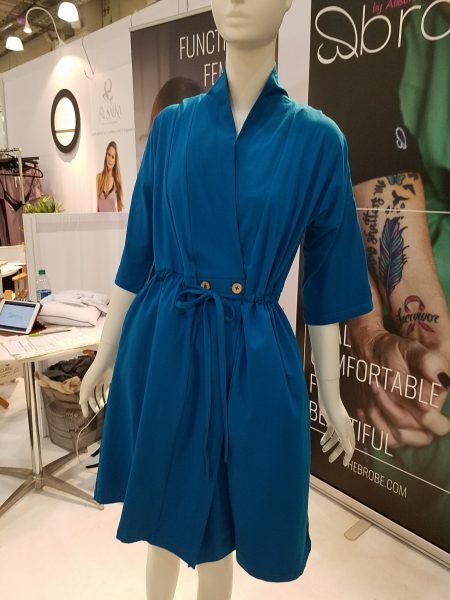 I adore the dress-like look of the robe, the POCKETS, the drawstring waist, and the two buttons that keep everything in place. 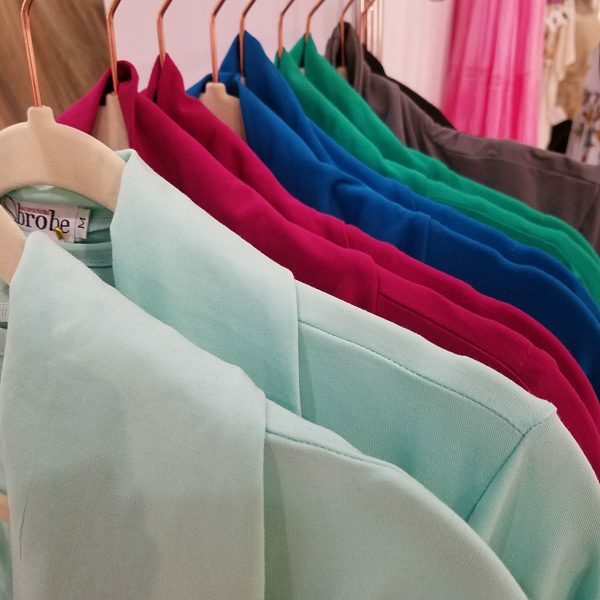 Not only does the fabric feel luxe, but the vibrant color options are fabulous. The color options are key for this second benefit because it wasn’t until Allison’s friend had a double mastectomy and three reconstructive surgeries that Allison began developing the Brobe in earnest. In looking for the perfect robe for her friend, she could only find beiges and pale pinks . . . washed out choices that very few healthy people look good in, much less a hospital patient. Three-quarter length sleeves allow for easier IV access during chemo. The Velcro fastening is easier to work with after surgery. 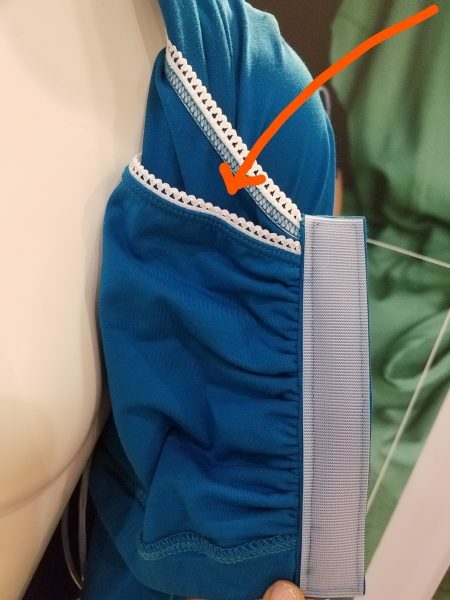 The bra has pockets for soothing gel packs to relieve breast pain. 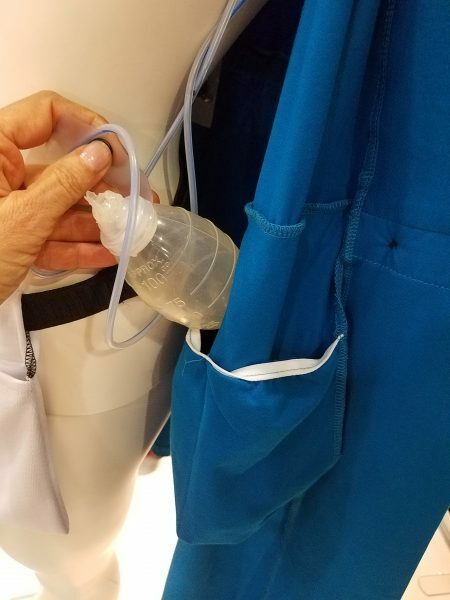 Speaking of pockets, there are four more inside the robe, large enough to accommodate six post-operative fluid drains. Without these pockets, some women have had to resort to taping the drains to their skin. The Mommy Brobe is also borne from Allison’s personal experience. Nobody told her that she’d have to walk the hospital halls just a few hours after a Caesarean. She remembers hobbling bent over with a second hospital gown covering her back-side and her breasts swinging to and fro as her father and father-in-law dropped by for a visit. The Mommy Brobe allows new mothers to be supported and covered and able to nurse while looking good. The bra in the Mommy Brobe uses a long line of hooks and eyes that offers extra support as a mother’s milk comes in. This is also the bra that Allison recommends for women sized out of the Recovery bra. It has adjustable straps and nursing clasps and the same pockets for ice packs–this time offering relief for engorged breasts. 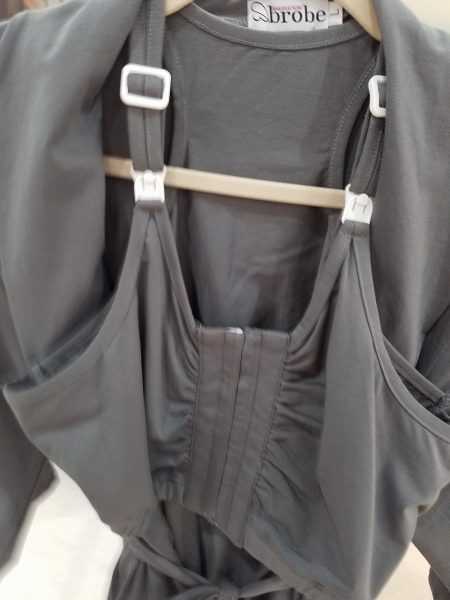 While the Mommy Brobe has the same great exterior pockets, it has a belt instead of drawstring so that it can grow or shrink with the mother’s stomach. 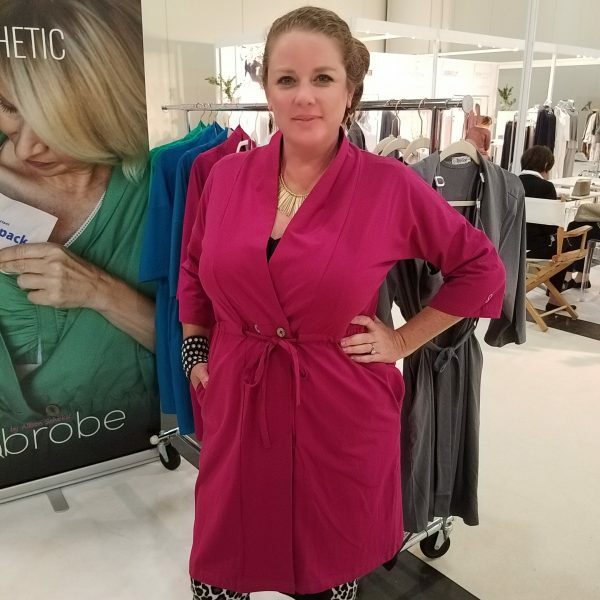 Allison’s passion for the women she creates the Brobe for–large-busted women, recovering surgery patients, and new moms–is obvious in the thoughtful details of her products. Please help spread the word to the women in your life that you know would love one! I bookmarked the Brobe and shared it on my fb. I LOVE this innovation and for women in recovery it’s a dream come true. What an inspiration! Love it! I really wish this had been available after I had my babies! 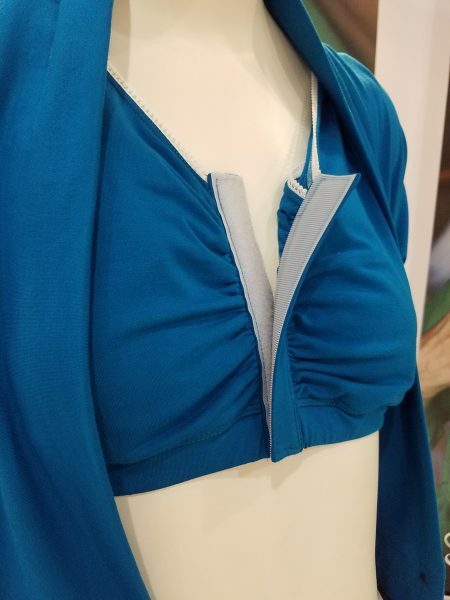 Great for everyone but especially brilliant for post-op and chemo patients and new moms – important but often underserved groups where clothes are concerned! Oooh I know this isn’t the original intention of those ice packet pockets but as a woman who gets TERRIBLE sensitivity and tissue inflammation from PMS something that can hold me up a little and ice sounds amazing!